In order to determine how a crash occurred and identify the factors that may have contributed, Billy Cox Group begins by documenting forensic evidence through site inspection and vehicle inspection. 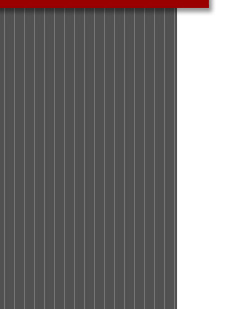 We always provide objective, unbiased opinions concerning a collision event. Because we conduct full scale crash testing and research, the initial crash analysis often leads to investigations of biomechanical issues or failure events. Click HERE to register as a client and send us a Forensic Crash Analysis assignment using our secure, encrypted project submission. Billy Cox Group has performed hundreds of vehicle-to-vehicle crash tests, with and without human subjects. 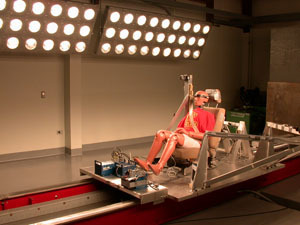 We have also participated in high level sled testing with anthropomorphic crash dummies. Our practical experience allows us to analyze a collision and render opinions regarding crash severity, injury mechanism and injury causation from a biomechanical viewpoint. You can have full confidence in Billy Cox Group because the testing and research that we conduct allow us to provide expert opinions that are based on real science. Click HERE to register as a client and send us a Biomechanical Analysis assignment using our secure, encrypted file project submission. 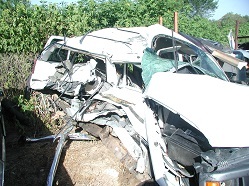 In a motor vehicle crash, there are often factors that may contribute to the collision event that may be discovered in the initial investigation. 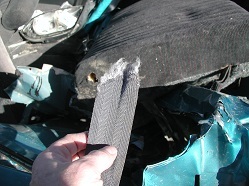 Billy Cox Group follows generally accepted scientific principles, methodology and techniques to determine the role of failed components in a crash event. Inspections of various components may include brakes or throttle mechanisms, seat belt and airbag systems or forensic analysis of headlamp and tail lamp assemblies. Click HERE to register as a client and send us a Failure Analysis assignment using our secure, encrypted project submission.